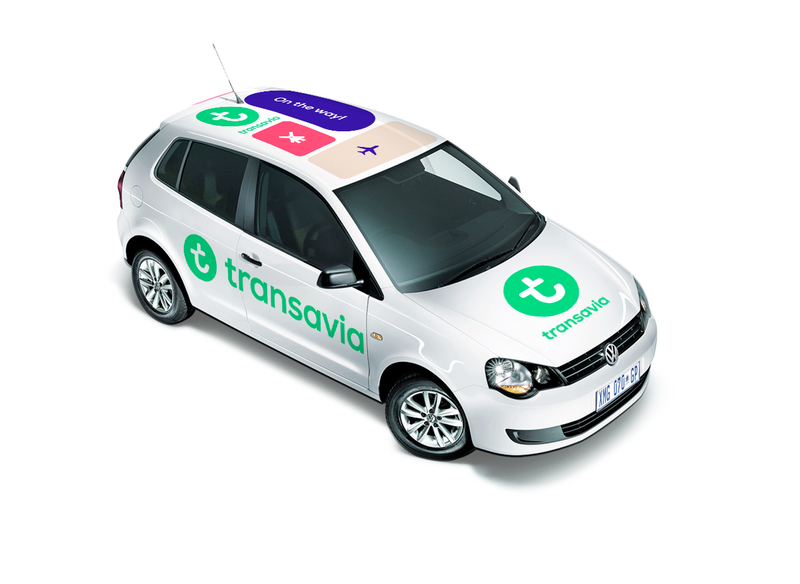 Transavia, our wonderfully green-collared friend, has undergone a branding exercise, to refresh and address its commercial objectives. Mirabeau, a digital agency, was brought on by Transavia to begin work on a new e-commerce platform to increase ancillary sales, improve the conversion of flights and reduce operational costs. 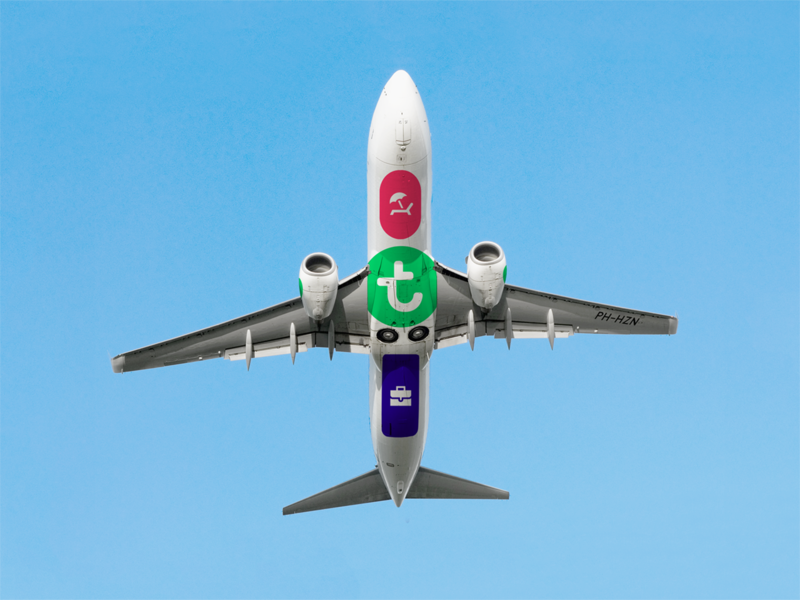 Having identified the need to redefine Transavia’s positioning and visual identity (in accordance with Mirabeau’s e-commerce strategy and concept) Studio Dumbar was invited to join the team. Whilst we agree, the previous rounded and playful typeface transavia.com used to use was a little dated, the general concept of the livery was fun, bold and very recognisable. The bands around the belly hadn’t been used by any other european carriers, (bar possibly Norwegian) and the green and blue colour mix was bold and a point of difference. If the logotype had been changed to the new version, we’d be over the moon, thinking a clever refresh was more important to a fairly small European player that is still trying to create brand awareness in it’s route network. Instead, in our opinion, this acid red, deep blue and fresh green approach, which may work beautifully online in a simple motion graphic style, doesn’t actually tell a story or communicate effectively with its livery or other brand touch points. Nor does it talk to the core principles it went out to achieve, that of ‘Defining “It’s a pleasure” as the leading principle for the company.’ Nor does it really offer anything to the elusive business class traveller demographic transavia wants to appeal to. There are nice elements, such as the iconography, or the welcome by each door in a differing language, although this is nothing new, as Air Transat used to offer a similar option by its rear boarding doors, as does Fiji Airways to name just a few. The motion video also has a touch of Porter Airlines‘s racoon mascot or the simplistic graphical storyboarding of the title sequence in Catch Me If You Can. 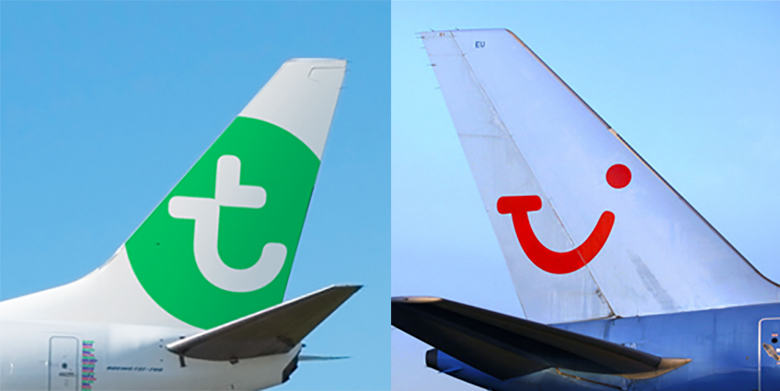 But the disjointed T motif on the tail, whose formation from two arrows and a curve, could communicate connection, travel, motion and a smile, has a reminiscence of competitor Tui’s smiling logo. As for the printed materials, these do very little to communicate anything, and the three examples above, whilst playful, and childish in appearance certainly aren’t depressing to look at, manage to convey very little information in a large amount of real estate. Whilst these may just be initial concepts to build the brand from, we feel for the airline to successfully communicate any commercial objectives, there needs to be a lot of development of how these icons, shapes and colours are used to impart information cleverly. 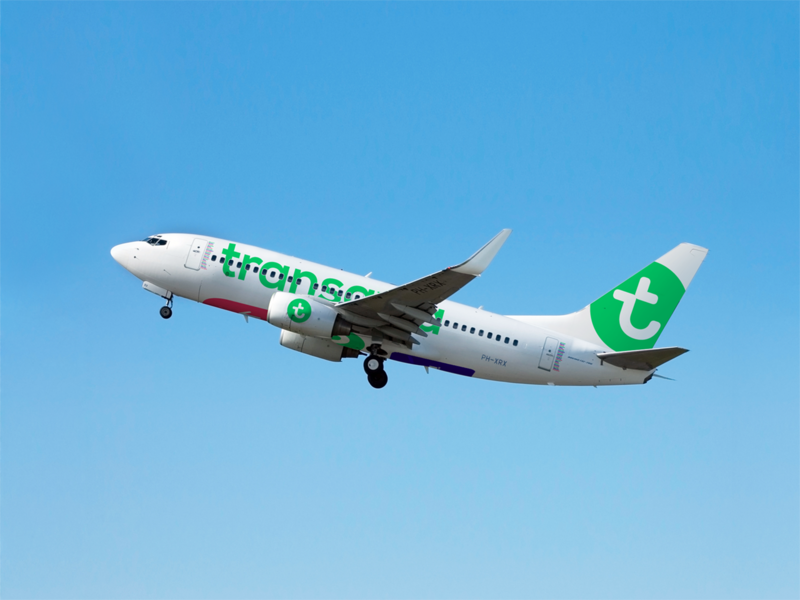 We do love Transavia, and their sense of adventure, but as a low cost carrier, parented by Air France KLM, we were hoping the airline could execute a brand shift with a little more commercial sense. So after seeing the new brand, we ask you to go back to the Studio’s original brief, to appeal to more business travellers, and to create a sense of “It’s a pleasure” as the leading principle for the company. Has it worked? You tell us! I like the new “T”. But that’s all. I don’t understand the use of blue and red (perhaps because they are the colors of France and Holland flags?) Still, they feel out of place. I like the idea of the “welcome” in many languages. They seem to come up with many different ideas that combined feel like they have no relation with one another. And to me, it doesn’t translate into a eye-catching, fun and original livery as to create a strong visual identity.